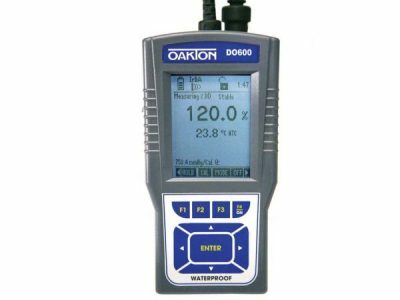 Oakton PC 700 (pH/CON) Benchtop Meter - Osprey Scientific Inc. 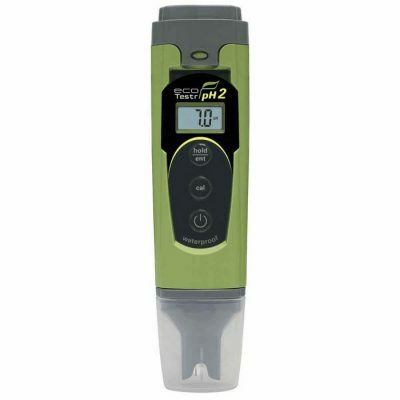 Easily toggle between pH, mV, conductivity, TDS, and temperature measurements at the touch of a button. 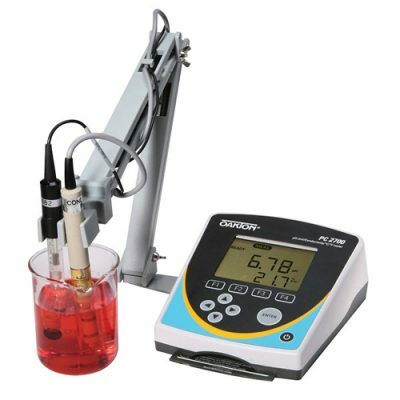 The PC700 meter offers a new compact design that is over 40% smaller than other benchtop meters. The large display is easy to read even at a distance. 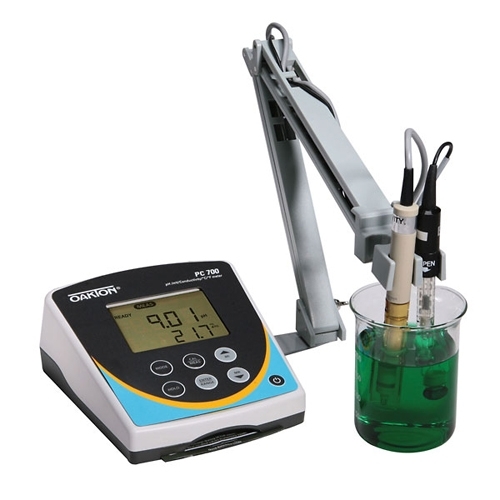 Dual-display allows you to read both a measured parameter and temperature at a glance. 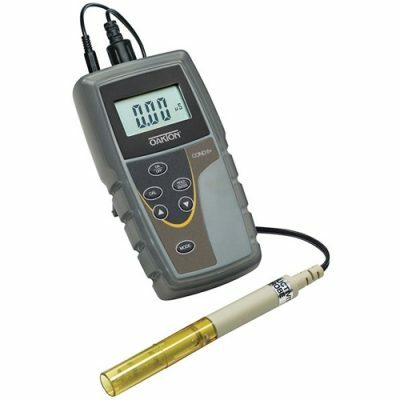 The meter features pH auto-buffer recognition for both USA and NIST buffer sets (1.68, 4.01, 7.00, 10.01 and 12.45 or 1.68, 4.01. 6.18. 9.86, and 12.45), automatic or manual temperature compensation, temperature selectable in either °F or °C, display Hold, and water-resistant membrane keypad.